Construction, Industrial Machinery (New and Used Equipment). 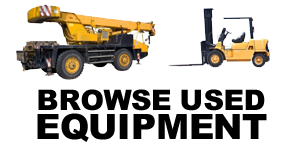 Tower Cranes, mobile cranes, hoists, port handling and lifting equipment. Access platforms and equipment, tower ladders, man-lifts and elevators. Concrete block and batching plants, plants for hollow core and precast products. Quarrying, mining and tunneling equipment. Trucks, earth moving and road building machinery. Formwork, shoring and scaffolding solutions. Piling, foundation and civil engineering equipment, marine engineering solutions. Machines for steel bending, cutting, processing and welded mesh. Generators, light towers, compressors, machine tools. Waste management and recycling systems and solutions. Spare parts for most major brands of equipment. If you need any additional information kindly contact us and we will endeavour to reply within a few working days.